A Saskatchewan judge has stayed a charge of promoting hatred, saying the case against a Regina man was taking too long. A Saskatchewan judge has stayed a charge of promoting hatred, saying the case against a Regina man was taking too long to get to trial. Terry Tremaine was accused of wilfully promoting hatred by allegedly posting material online advocating the extermination of Jewish people. However, on Thursday, Queen's Bench Justice Fred Kovach said the case has been dragging through the courts for more than four years and any trial date would still be several months ahead. He ruled Tremaine's constitutional right to a trial within a reasonable time has been violated and as a result, the case can't go ahead. 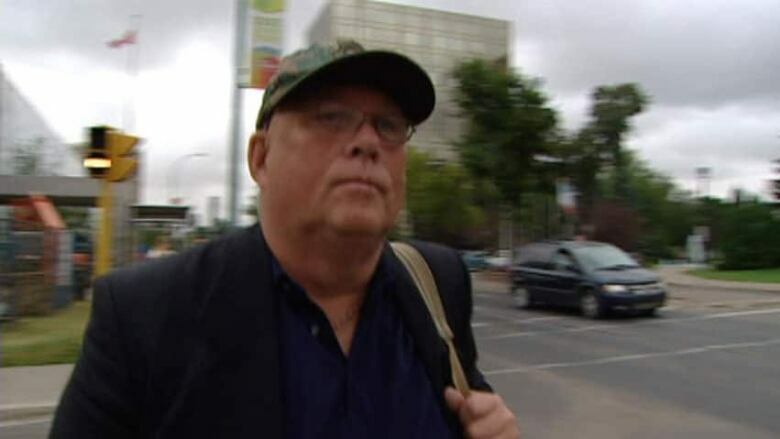 Tremaine, a former math instructor with the University of Saskatchewan, lost his job and is now on welfare, court heard. Kovach said a previous human rights complaint led to Tremaine's initial loss of employment, but the criminal charge "at a minimum exacerbated his employment status and facilitated ongoing media descriptions of him as being a white supremacist or neo-Nazi." Tremaine, who has lived in Regina for several years, declined to be interviewed as he walked out of the courthouse. Crown prosecutor Mitchell Miller said it's too early to say whether or not there'll be an appeal. "Obviously, the Crown takes these charges very seriously — of course we do," Miller said. "There's reasons why the judge found that the delay was undue." Richard Warman, a human rights lawyer who is the complainant in the Tremaine case, said he's disappointed it won't go to trial. "What this case really demonstrates is the fact that the Criminal Code anti-hate provisions are not an effective remedy to hate speech in Canada," Warman said.